Raoul Wallenberg (b. 1912) was a Swedish diplomat who saved the lives of tens of thousands of Jews in Budapest in the second half of 1944. With the support of the World Jewish Congress and the American War Refugee Board, the Swedish Foreign Ministry sent Wallenberg to Budapest in July 1944 to help protect the 200,000 Jews who remained in the capital. From October 15, when the Arrow Cross seized power, to the liberation of the capital three months later, Wallenberg saved Jews through a variety of means -- by issuing thousands of protective documents, by establishing the International Ghetto of protected houses, and by securing their release from deportation trains, death march convoys, and labor service brigades -- all at significant risk to himself. Wallenberg was detained by Soviet agents on January 17, 1945, soon after the Soviet forces occupied Budapest, and thereafter disappeared without a trace. On December 22, 2000, the Russian prosecutor’s office issued a formal statement acknowledging that Wallenberg was held in a Soviet prison as a “socially dangerous” person for two and a half years before he died. This statement followed one by Alexander Yakovlev, the Russian official appointed to investigate the Wallenberg affair, who stated in November 2000 that Wallenberg had been executed in 1947. However, since the Russians further indicated that all records relating to Wallenberg’s arrest have been destroyed, no evidence of his imprisonment or death apparently exists. Consequently, many questions about Wallenberg’s fate remain unanswered. For his actions on behalf of Hungarian Jewry, Yad Vashem awarded Wallenberg the title of “Righteous Among the Nations” in 1963, and the United States granted him honorary citizenship in 1981. In December 2000 Russia’s general prosecutor signed a verdict formally rehabilitating Wallenberg and his driver. The following bibliography was compiled to guide readers to materials on Raoul Wallenberg that are in the Library’s collection. It is not meant to be exhaustive. Annotations are provided to help the user determine the item’s focus, and call numbers for the Museum’s Library are given in parentheses following each citation. Those unable to visit might be able to find these works in a nearby public library or acquire them through interlibrary loan. Follow the “Find in a library near you” link in each citation and enter your zip code at the Open WorldCat search screen. The results of that search indicate all libraries in your area that own that particular title. Talk to your local librarian for assistance. Briefly summarizes Wallenberg’s rescue efforts, as well as his mysterious disappearance, while examining the activities of a handful of those declared to be “Righteous Among the Nations.” (See particularly pages 637-638.) 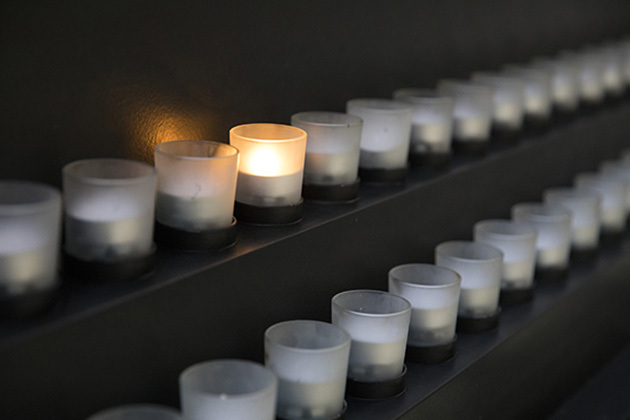 The article appears within a collection of lectures and discussions from a conference regarding those that supported and hindered efforts to save Jews. Reviews the history of the Holocaust in Hungary, particularly toward the end of the war. Includes a section on Wallenberg (pages 1235-1241) describing his dealings with Eichmann and the historical circumstances in which his rescue efforts took place. The first part of this work is the author’s personal narrative. The second part presents brief accounts of Righteous Gentiles from various countries, including a seven-page account of Raoul Wallenberg’s activities in Hungary. Based completely on original sources presented in the files of Yad Vashem. Exhibition catalog of paintings and poetry dedicated to Raoul Wallenberg by an artist whose father Wallenberg saved. Includes numerous illustrations, most in color, an interview with the artist, and two essays, one by Alfred Gottschalk on Raoul Wallenberg and the other by Sybil Milton on art and the Holocaust. A collection of stories revealing how some Christians worked to rescue Jews during the Holocaust. The nine pages concerning Wallenberg outline his work as part of the rescue efforts by the Swedish government. Also includes a chapter on the situation in Hungary during the war and some of the other rescue activities that occurred there. Tells the story of Raoul Wallenberg, relating information about his early life and then his mission in Hungary during the Holocaust. Describes the conditions facing Jews in Budapest and Wallenberg’s activities to rescue them. Written for young adults. Provides a general overview of Wallenberg’s life and mission in Hungary. Includes portions of eyewitness testimonies by some of the people Wallenberg saved. A biography focusing on Wallenberg’s colleague and fellow rescuer at the Swedish delegation, Per Anger. Provides details of the rescue mission from Anger’s perspective. Reviews post-war diplomatic attempts to ascertain what happened to Wallenberg. Focuses on Wallenberg’s rescue efforts within the larger context of rescue efforts by the Swedish government working in conjunction with international Jewish organizations. An autobiography written by one of Raoul Wallenberg’s associates in Budapest in 1944. Describes the author’s post-war involvement in Wallenberg remembrance activities and organizations. First-hand testimony by a friend and colleague of Wallenberg at the Swedish Foreign Ministry. Further explores the situation in Hungary at the end of World War II and describes post-war efforts to find Wallenberg. Includes many photographs and documents related to Wallenberg’s work. The Library also has an edition in Swedish under the title, Med Raoul Wallenberg i Budapest: Minnen Från Krigsåren i Ungern, and in Hungarian under the title, Raoul Wallenberggel Budapesten: Visszaemlekezesek a Haborus Evek Magyarorszagara. Details Wallenberg’s life, with the focus primarily on his mission in Hungary and information concerning his fate after the war. 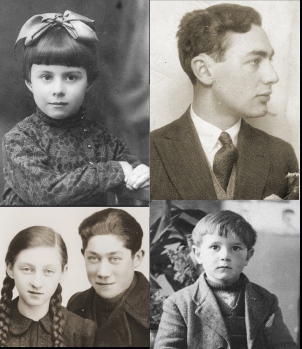 Includes Wallenberg family photos and images from the Holocaust. Based on the Wallenberg family papers, as well as interviews with Wallenberg’s colleagues and Holocaust survivors. Critically examines the strategy employed by Wallenberg in the rescue of Jews, calling for a more accurate assessment of the number of Jews he actually saved, and explores how and why Wallenberg’s heroism has been exaggerated. Relates Wallenberg’s life and rescue mission while also providing a general overview of the Holocaust and its aftermath. Written for young adults as part of the People Who Made a Difference series. Focuses on those in Hungarian society and government who were pivotal to Wallenberg’s mission. Also provides a brief overview of politics in Hungary from 1944 to the end of the war. A booklet based on the tribute to Raoul Wallenberg held on March 14, 1985 by the Raoul Wallenberg Committee of the United States. Reviews Wallenberg’s life and mission. Includes brief written statements by President Ronald Reagan, Swedish Prime Minister Olof Palme, and Jeane Kirkpatrick, U.S. Ambassador to the United Nations. Provides a detailed list of evidence concerning Wallenberg’s post-war fate. Provides a general overview of Wallenberg’s activities in Budapest and explores the mystery of his disappearance. Written for young adults as part of the History’s Mysteries series. Reviews Wallenberg’s role during the Holocaust. One third of the book is biographical, one third historical treatment of the Holocaust and Wallenberg’s rescue mission, and one third review of post-war attempts to discover Wallenberg’s fate. Written by a journalist who was one of the first to report Wallenberg’s story in the press. A documentary account of Raoul Wallenberg’s rescue activities on behalf of Hungarian Jews. Includes reproductions and translations of a number of letters, documents, and testimonies. The Library also has an edition in Hungarian under the title Raoul Wallenberg: Regényes Élete, Hősi Küzdelmei, Rejtélyes Eltűnésének Titka. Tells the personal story of Raoul Wallenberg from his life as a young man through his disappearance at the end of the war. Written for young adults. A biography of Wallenberg written by an award-winning journalist and author, and based on interviews with Wallenberg’s family members, friends, and colleagues. Provides a very personal account of Wallenberg while placing him in the larger context of the Holocaust. Documents Wallenberg’s activities during the Holocaust and his mysterious disappearance following Soviet liberation of Budapest. Includes a timeline, endnotes, glossary, bibliography, and an index. Highlights the rescue activities of Wallenberg and 13 other diplomats in Budapest. Includes a bibliography, endnotes, and an index. Discusses Wallenberg’s life and activities in Budapest and later disappearance. Part of the Holocaust Biographies series. Includes illustrations, a timeline, glossary, bibliography, and index. A brief overview of Wallenberg’s life and rescue efforts. Includes reproductions and translations of a few reports and documents, some concerning the conditions facing Jews in Hungary during the war, others addressing Wallenberg’s fate. Analyzes Wallenberg’s work and rescue efforts in Budapest and the correlation to efforts made by the American War Refugee Board on behalf of Hungarian Jews. Includes footnotes and a bibliography. The first comprehensive collection of Wallenberg’s letters, beginning in 1924, when he was 12, and ending in December 1944, one month before his disappearance. Details Wallenberg’s rescue activities. Examines shifts in the Swedish government’s foreign policy during the War, as well as the political negotiations and complex economics underlying the rescue mission. Based largely on primary sources. An account of what happened in Budapest and at the Swedish Legation from August 1944 to March 1945 by one who worked closely with Wallenberg. Includes updates on Wallenberg’s disappearance as of the publication date. The title refers to this book’s mysterious removal from circulation soon after its publication in Sweden in 1949. Presents information on the ongoing saga to discover the final whereabouts of Wallenberg. Analyzes materials from American, Hungarian, Swedish, and Soviet sources concerning his disappearance and efforts to locate him. Includes endnotes and a bibliography. Provides the research synopsis of efforts to track Wallenberg’s whereabouts and fate within the Soviet Union. Includes endnotes. Also available on the American Jewish Committee’s Web site (external link). Describes Wallenberg’s background and his mission in Hungary and explores his rescue activities as well as his disappearance. Reviews the more recent attempts to discover Wallenberg’s fate. Includes a foreword and postscript by Per Anger. Revision of Marton’s 1982 book Wallenberg, with a new afterword providing information on attempts to discover Wallenberg’s fate. Presents the findings of a joint Swedish-Russian research team tasked with tracing Raoul Wallenberg’s postwar fate. Includes a timeline of Wallenberg’s known whereabouts after 1944, a bibliography, and reproductions of original primary sources from Soviet archives relating to the case. Available online at the Government Offices of Sweden Web site (external link). Deals primarily with what might have happened to Wallenberg after 1945. Reviews all of the post-war conditions, sightings, and efforts to determine his fate. Sets his story in the larger context of pre-war Hungarian antisemitism and post-war Soviet-Western relations. Includes updated information on efforts to find, commemorate and memorialize Wallenberg and his mission. A detailed biography of Wallenberg which includes a chapter on his unsolved disappearance. Reproduces his last report from Budapest and a chronology of reports from the Soviet Union concerning his whereabouts. The Library also has an edition in German under the title, 100000 Juden Gerettet: Raoul Wallenberg und Seine Aussergewöhnliche Mission in Budapest. A detailed account of Wallenberg’s mission in Budapest. Reconstructs the principal events of his life from interviews, official Swedish papers, and other published sources. Reviews the information available regarding his post-war fate. Includes some photographs. Examines the political background against which Wallenberg conducted his rescue efforts, especially the lack of refugee assistance provided Jews by the United States. Details the events leading up to his disappearance. Chronicles Wallenberg’s rescue efforts during the last days of the Holocaust in Budapest. Examines Wallenberg’s efforts to save Hungarian Jews during the Holocaust, his subsequent disappearance, and reports of his fate. Includes interviews with several survivors whom he saved and with individuals who claim to have seen him alive after the war. Online article about Raoul Wallenberg and the rescue of Jews in Budapest. Includes links to other Museum resources on the subject. Ask at the reference desk to see the subject file labeled “Wallenberg, Raoul” containing newspaper and periodical articles.